During the Puli Audio Launch TR gave a stunning mindblowing speech in his own style for which the whole audience erupted. Even Vijay came to the stage to thank TR after hearing his speech , his speech was soo emotional and it is of no doubt that its all from his heart. 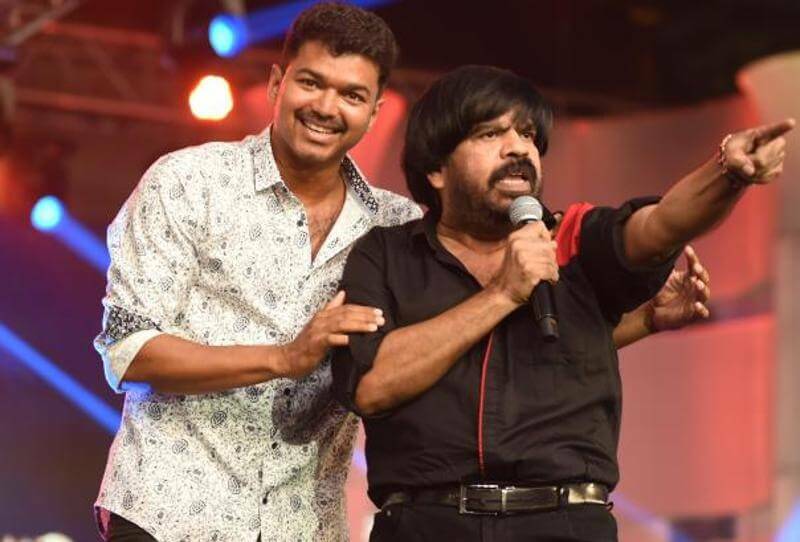 Vijay’s kind character of helping STR release his movie Vaalu made TR even more emotional and he praised praised and praised Vijay and also damaging some actors which include AJith and Rajini. During his speech he mentioned that , even if STR was another actors fan ( Ajith ) Vijay helped him ! and also he said that , he dont go to any place where they dont respect him , let it be Mannathi Manna or Mount Pettai Prabhu ( in directly saying Rajini ). This speech was so viral that almost Fb newsfeed was full with his speech after the audio launch was telecasted in Sun Tv yesterday.